We are pleased to announce details of an upcoming seminar presented by Meredith Newlin to be held on Thursday 26 September 2013, 4:00 to 5:00pm at the University of York. Recent estimates from the World Health Organisation (WHO) report an increase in the global burden of disease attributable to mental disorders. However, about four out of five people in low- and middle-income countries (LMIC) in need of mental health services do not receive them. Social interventions can help to fill the treatment gap for people experiencing mental distress in low and middle income countries. They have the potential to improve the quality of life and community engagement, as well as positively impact the social functioning of people with mental health problems. To address this need we have conducted a feasibility study identifying needs in resource-limited mental health services in Sierra Leone. Early iterations of the adapted model alongside results from the feasibility study will be presented and discussed in this seminar. All are welcome to attend. For further information or to express an interest in attending please contact Tracey Hawkes. Further information about the event can also be found online at The University of York website. The Connecting People Study team are pleased to announce three engagement events being held this September across the country. The events all commence at 10:30am and will finish at 2:00pm. Lunch will be provided. These events are all free of charge but places are limited. For more details or to book a place please contact Tracey Hawkes. 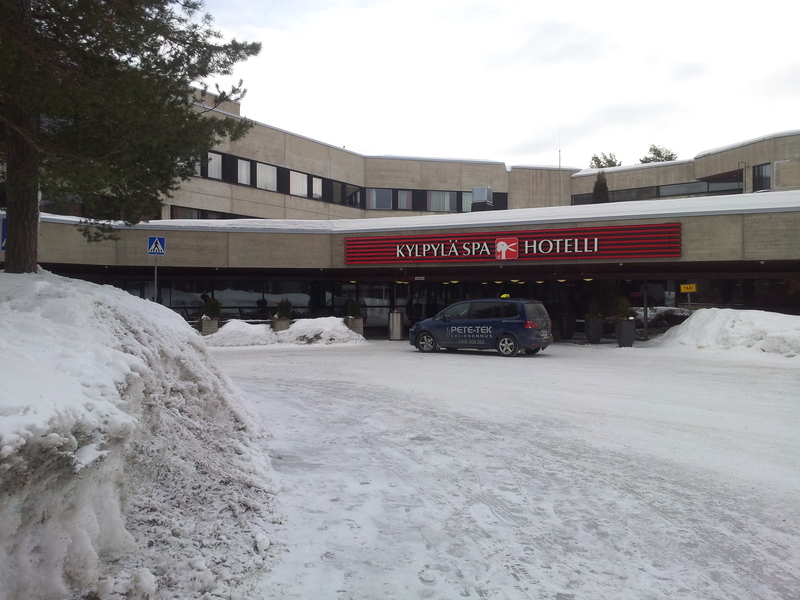 The Connecting People study was presented to the European Conference for Social Work Research (ECSWR) in Finland in March. This international conference brought together social work academics from across Europe and beyond. I (Martin) presented two papers on behalf of the research team. The first discussed the methodology of the pilot study and presented some baseline data (abstract below). It was sandwiched between a paper on Kellogg’s approach to programme evaluation from Germany and one on critical realism from Finland. I received questions about how we are measuring fidelity to the Connecting People Intervention, which has prompted us to review our fidelity measure in our next team meeting to ensure it is fit for purpose. 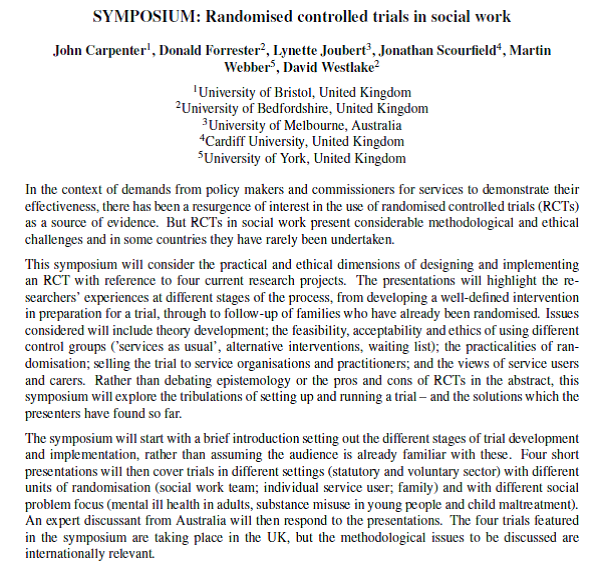 The second was part of a symposium on randomised controlled trials in social work organised by Jonathan Scourfield of Cardiff University. I spoke about the development of the Connecting People Intervention model, which is the first phase of the development, evaluation and implementation of complex social interventions. This was followed by three UK examples of intervention trials in social work and a glimpse of how they work in Australia. Although frequently problematic and pragmatic, these types of study are helping to provide rigorous evidence about the effectiveness of social work practice. Our pilot study is helping us to evaluate if the Connecting People Intervention improves outcomes for people using social work, social care and health services. Its findings will inform practice and future grant applications to conduct a randomised controlled trial, if it appears effective. We are now in the final phase of recruitment of participants for the study – just one more month to go until recruitment closes. A huge ‘thank you’ to all the agencies, practitioners and service users participating in the study so far! Connecting People Workshop: Free event! You are invited to join the Connecting People study team and participating agencies for a workshop exploring good practice in the context of the Connecting People Intervention. 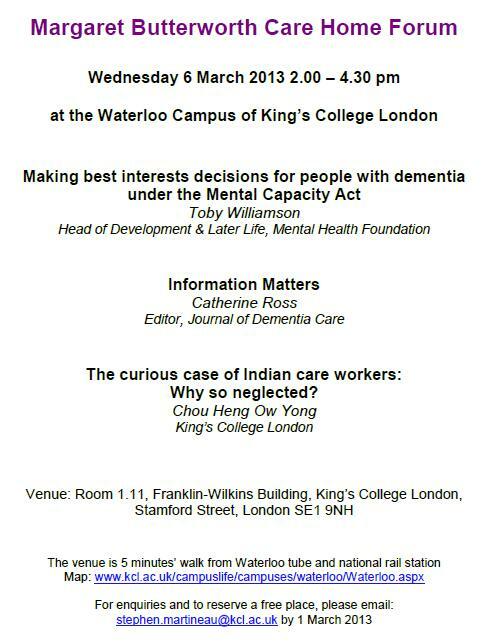 The workshop will be held at the King’s College London Strand Campus on Friday 15th February from 10am to 1pm, followed by a networking lunch. This workshop is open to anyone to find out more about how the Connecting People Intervention could provide a model for social capital interventions in mental health and social care services. The Connecting People Study is funded by NIHR School for Social Care Research. 2012 has been a very busy year for the Connecting People Study team. We completed the ethnographic research and developed the Connecting People Intervention (CPI) model via focus groups and a Delphi Consultation. We recruited 18 agencies to pilot the intervention and have undertaken training in 15 so far. We are now in the midst of recruiting the participants for the evaluation of this pilot and undertaking baseline interviews. This process will continue throughout 2013. In addition to undertaking the study in 2013, we will be involved in a series of events throughout the year to introduce the Connecting People Intervention to a wider constituency of practitioners, managers, commissioners and users of health and social care services. Although we don’t yet have data on its effectiveness, we would like to engage potential stakeholders in discussions about its implementation to help refine the intervention and broaden its impact. These will include workshops, seminars and conference papers. The first three have already been scheduled. In early February I am hosting a visit from some researchers from Rosklide University in Denmark. Making Research Count at York have organised a half-day seminar to allow interested people to hear more about their research. I will be talking about the Connecting People study and David Morris will be talking about the Connected Communities project led by the Royal Society for the Arts. The seminar, Community in Focus: Social Work Making Connections, will be held at King’s Manor in York from 9.30 am to 2.00 pm on Friday 8th February 2013. It is free to Making Research Count members, mental health social workers and Approved Mental Health Professionals in the Yorkshire and Humberside regions. Otherwise, places cost £75 each. Please click here to see the flyer for additional information and booking details. 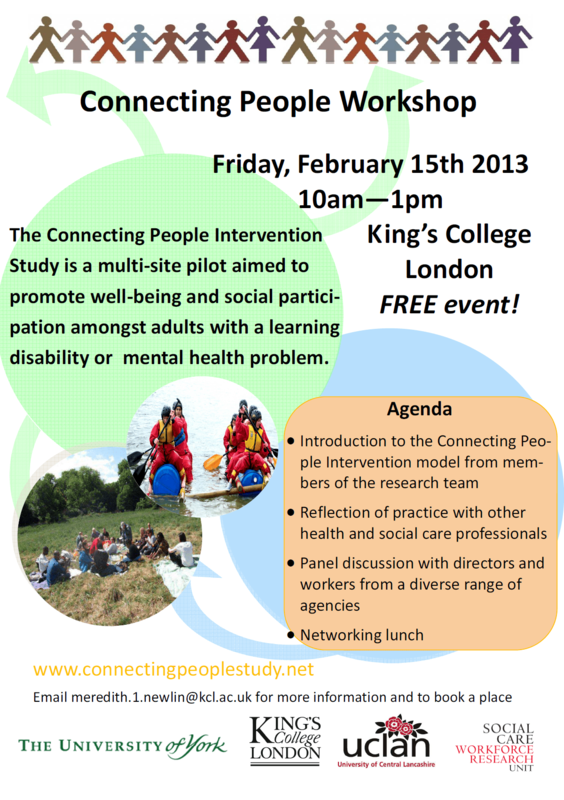 A week later, the Connecting People Study team are hosting a workshop for practitioners and managers interested in implementing the Connecting People Intervention in their agencies on Friday 15th February from 10.00am to 1.00pm at The Strand campus of King’s College London. 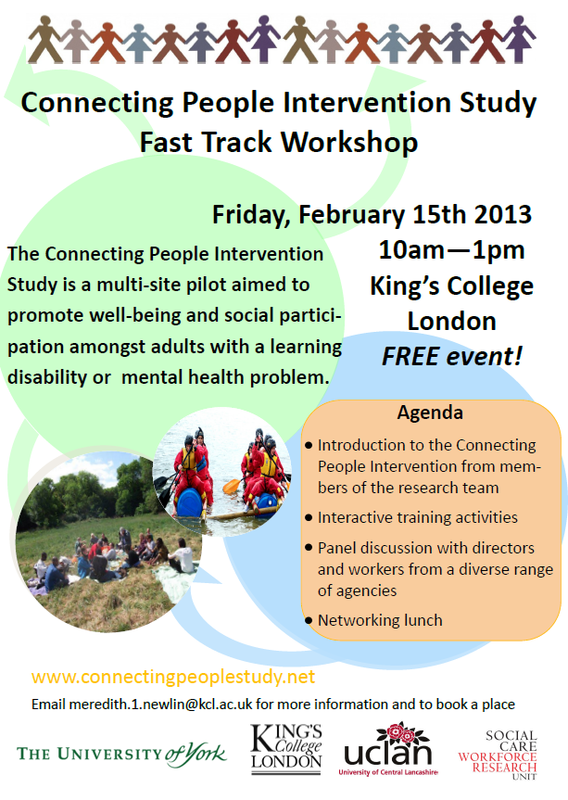 The Connecting People Intervention Study Fast Track Workshop will feature a presentation about the intervention model and some interactive training exercises we use in the intervention training. As we are inviting all the participating agencies to attend, there will be an opportunity to discuss the on-going piloting of the intervention with people who are using it in their practice. We are also providing a networking lunch to encourage participants to informally discuss their practice in the context of the intervention model. More information about how to book onto this free workshop is available on this website. 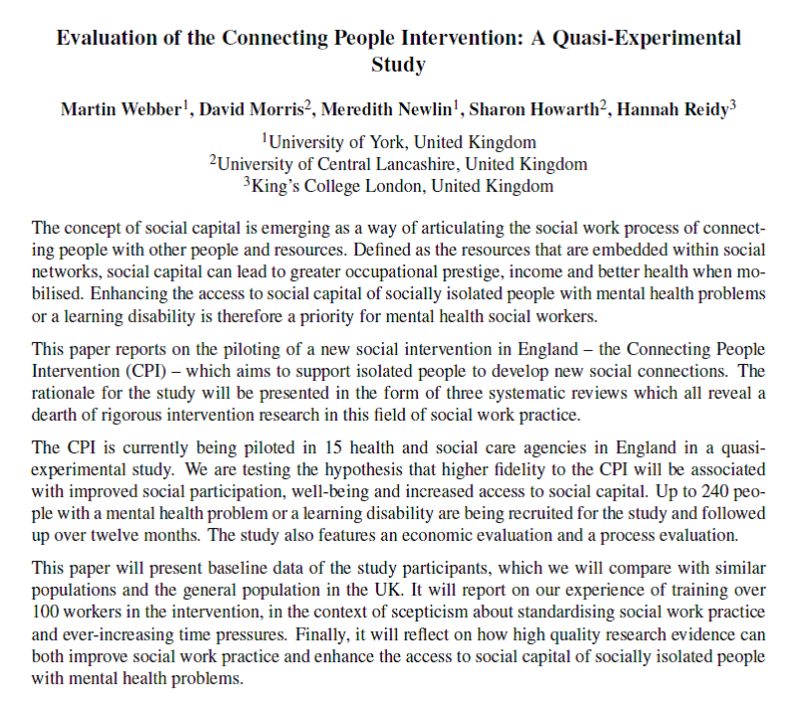 Later that day, I will be presenting a paper on the study in a Royal Holloway University of London Department of Social Work Research Seminar. This is likely to have a more academic focus than the other events as it will explore the more technical aspects of the study, including the construction of the intervention model and the methodology of the pilot study. However, limited free places are available for the seminar which will be held from 4.00pm to 6.00pm at Bedford Square in London on Friday 15th February. Please click here for more information. I will also be giving presentations at conferences in Finland, Los Angeles and London on the Connecting People Study during 2013, in addition to many other local workshops and seminars. If you would like me or one of the study team to talk at your event about the intervention or the study (or both), please do not hesitate to get in touch with us. In the meantime, on behalf of the Connecting People Study team I would like to thank all those involved in the study and the piloting of the intervention for their hard work during 2012. We look forward to continuing our work with you in 2013.